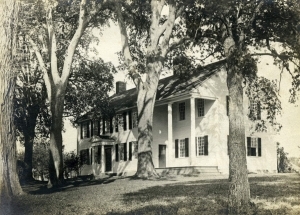 Oliver Ellsworth homestead “Elmwood”, c1910s. WHS collections 1995.25.24. Notes: Samuel Denslow, builder. In the early 1790s, Ellsworth commissioned Windsor architect and builder, Thomas Hayden, to add a two story addition on the south side. Listed on the National Register of Historic Places. 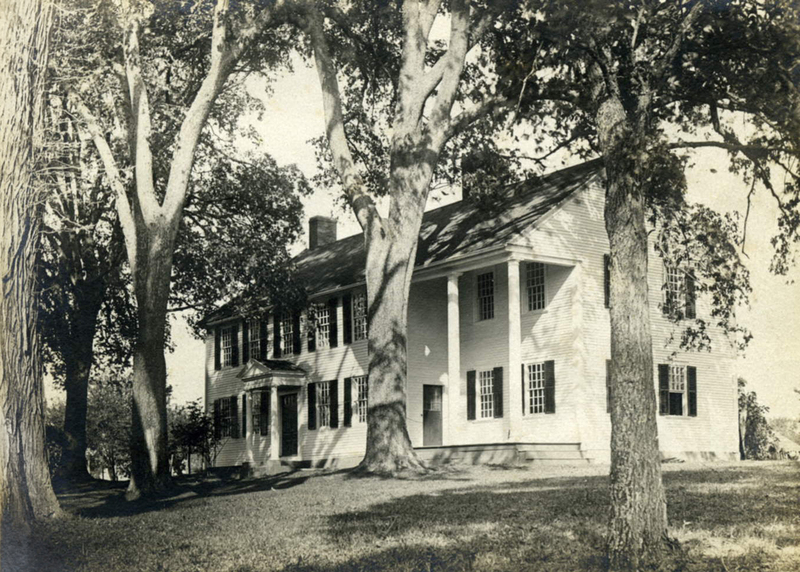 Current home of the Connecticut Daughters of the American Revolution (CTDAR) Library and Archives.